So last week during thre snowpocalypse, I took some time and re-read David Wondrichs' Imbibe! I stumbled upon what is my favourite cocktail of the moment. Its the Buck and Breck as noted on page 207. I tried making it true to form and wasn't 100% happy with the presentation. I'm hoping that Jerry Thomas doesn't haunt me for the following adjustments. The Adjusted Buck and Breck. Now this was originally named after the winning democratic presidential ticket of James Buchanan and John Breckenridge in 1856 and if I wanted to steal the rights to this drink and get it on cocktaildb then I would copyright it 2008 and call it the Bama' & Biden, but I'll give props to the ol' timers and leave well enough be with the adjustments. fill small bar glass with water and throw if out again, then fill the glass with bar sugar and throw that out leaving the glass apparently frosted inside. Pour in a jigger(1&1/2oz.) of cognac, a dash of absinthe, and two dashes of Agnostura bitters, and fill the glass with cold champagne, then smile. Take a chilled glass and coat the inside with absinthe (a la a sazerac) and discard. Add 2 spoons of sugar and cover the top of glass with yer hand and shake the sugar so it coats the glass. 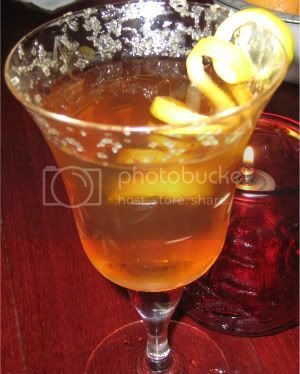 In a pint glass combine 1.5 oz Cognac and 2 dashes of Agnostura( or Boker's if you have it) and stir. Strain the cognac mix into the sugared glass and top with cold champagne. I'm kinda excited, my next post is #100 fot b.i.t.s. and I'm going to do a round-up of my favourite drinks of 2008. First off my apologies to all I've offended tonight. The past week of blinding blizzards and snowstorms has left the neighborhood and most of Seattle with a strain of cabin fever. Me myself? I haven't gone 6 blocks in a week. im feeling a little smug about not having to go to belltown 3x a week. This has been the most snowfall I remember in my 30 years in town. It's been crazy busy and we've run out of a bit of our hot drink staples, so I've been improving a lot. I'll post some hot recipes soon. #! Sorry I woke you up, it was a long night. #3 3$ on a 47$ tab is not ok, no matter how bad our economy is. Stay home and drink. Gently bruise the sage and simple in the bottom of a pint, then add ice, bitters, grapefruit, and gin. shake and pour into a collins style glass. Add ginger beer to cover. 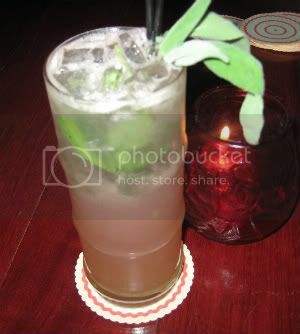 Garnish with a sage sprig. Modern greyhound racing has its origins in coursing. The first recorded attempt at racing greyhounds on a straight track was made beside the Welsh Harp reservoir, Hendon in 1876, but this experiment did not develop. The sport emerged in its recognizable modern form, featuring circular or oval tracks, with the invention of the mechanical or artificial hare in 1912 by Owen Patrick Smith. O.P. Smith had altruistic aims for the sport to stop the killing of the jack rabbits and see "greyhound racing as we see horse racing". The certificates system led the way to parimutuel betting, as quarry and on-course gambling, in the United States during the 1920s. Coursing is the pursuit of game or other animals by dogs —chiefly Greyhounds and other sighthounds— catching the prey by speed, running by sight and not by scent. Coursing was a common hunting technique, practiced both by the nobility, the landed and wealthy, as well as commoners with sighthounds and Lurchers. In its oldest recorded form in the Western world, as described by Arrian the sport was practiced by all levels of society, as remained the case until Carolingian hunting law (Forest Law) appropriated hunting grounds, or commons, for the king, the nobility and other land owners. Take a full mouthfull of drink and hold it. I'd been hiccuping 20 mins and took a sip and held it. next thing ya know its gone. try it and tell me. Dry shake all ingredients except ginger beer. Add ice and Shake. 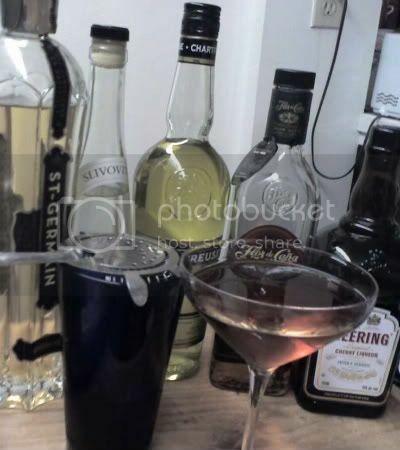 Strain into an ice filled collins type glass. Slowly add ginger beer as this has a tendency to foam on top. I know I'm double posting ( different DP - thanks Ethan ) but its Dec. 5 and want to give a nod to the people celebrating repeal day today. As for me, today would have been my brothers 37th birthday, and in memory, I'm drinking Jack and Coke's all night. Last night was all sorts of unexpected. First off, vacation is GREAT. I've been awake by by 9am the past 3 days and that is the first time that has happened in a while. Second, I'm hoping this glass of Zacapa gets my head right. I added that and Plymouth Sloe Gin to the homebar yesterday. There was a bourbon appreciation dinner held last night at my former work haunt sponsored by the fine folks at Alchemy Consulting and while I'd been on the serving side of many a Spur event, last night I was part of the crowd and having a great time. The boss and I had decided to meet up a bit before the event at the Rob Roy (aka Viceroy) for some prefunctionary cocktails and apparently great minds think alike as I sat down next to Murray and waited for the boss to arrive. It really wasn't the slightest bit awkward when he moved down a seat so the boss could sit down. Tara who manages the RR was accompanying so the 4 of us moseyed on down to the gastropub. We were greeted at the door with delicious manhattans and the best of the best in the cocktail world of Seattle, well, them and half a dozen others who wanted to get you their price list, a lot of hob-nobbing ensued, and the revelry started. 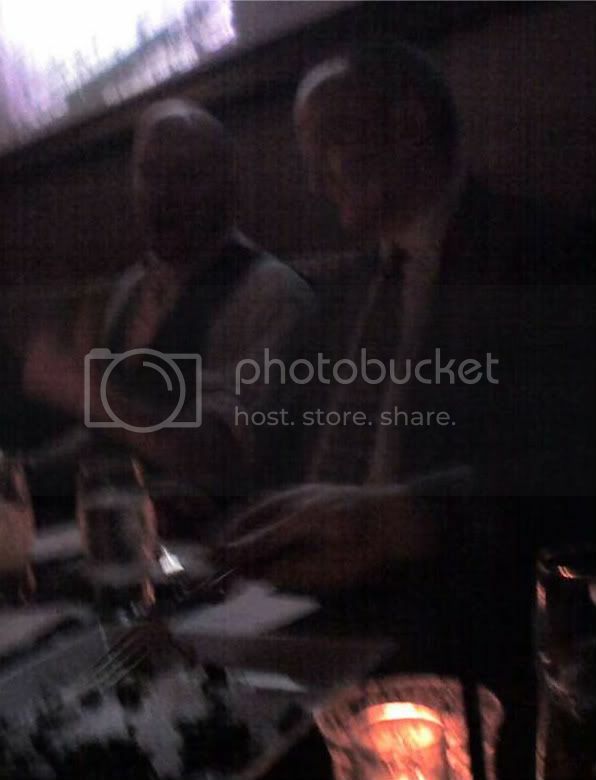 I managed to snap this blurry (how appropriate) cameraphone pic of Toby Maloney and Murray Stenson, who were across the table from me. Somehow I became friends with Jamie B. last night. I jokingly had the 50 loonie spot in my wallet and made the most of it. We shared a cab up to Barrio which was in the midst of its soft open, saw Casey and Keith and don't remember much else. Hope I didn't insult too many people. I'm celebrating not having to work for 4 days by throwing caution to the wind and concocting abominations I give ya'll the 4 day off cocktail. 1.5 oz Flor de cana 7yr. bear with me, the ingredients all let off subtle tones.